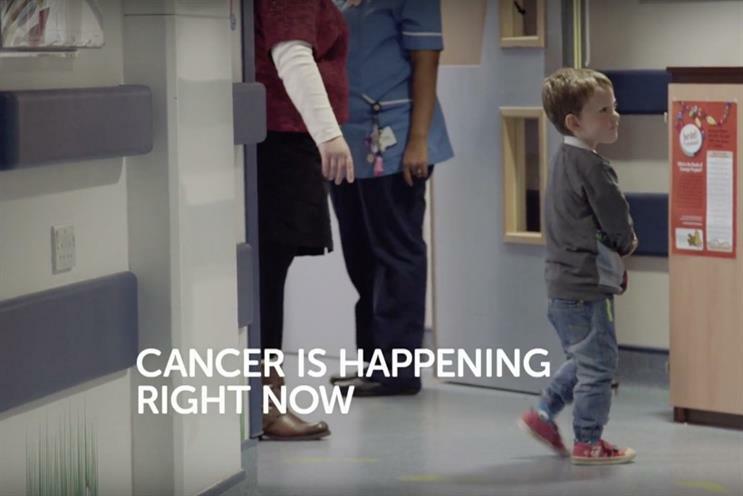 Cancer Research UK is launching a documentary-style TV ad campaign on Christmas Eve that charts the real-life stories of a number of patients, their families and medical staff. Created by agency Anomaly, ’Right now’ has been designed to convey the idea that cancer is "happening at this moment", and depicts moments including cancer treatment, test results and diagnosis. The main 60-second execution will debut on 24 December during ‘Emmerdale’, while further TV, outdoor, digital, radio, PR, cinema and social media activity will roll out from Boxing Day (26 September). The campaign will run for five-and-a-half weeks. Media was planned and bought by MediaCom. This 60-second execution includes images of a young boy colouring, interspersed with vignettes featuring various cancer sufferers having treatment and consultations with medical staff. It transpires that the boy is colouring while waiting for his chemotherapy. Cancer Research UK has also produced a number of 30-second executions which each focus on individual stories. The documentary approach to the campaign allows it to convincingly and impactfully tell the stories of sufferers, their loved ones, the medical staff who help them and the researchers who are fighting to combat cancer. Anomaly worked with production company The Garden, which is behind Channel 4’s ’24 Hours in A&E’. The ads were filmed at Leeds Cancer Centre, Southampton General Hospital, St Bartholomew’s Hospital in London and Cancer Research UK’s Cambridge Institute, and were filmed by director Henry Singer, who was diagnosed with cancer and treated at St Bartholomew’s. Anthony Newman, director of brand, marketing and communications at Cancer Research UK said: "To go into hospitals and film with real patients, doctors and researchers is an innovative and brave approach but one we knew from the start was just "right". "It’s essential that we inspire the public to understand that the future is being shaped by actions that can be taken right now, and that they have the power to make a difference."